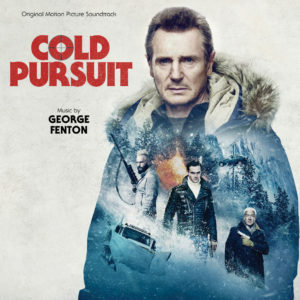 The only thing I knew about the movie Cold Pursuit was that actor Liam Neeson was on both the movie poster and, of course, the cover of the soundtrack. 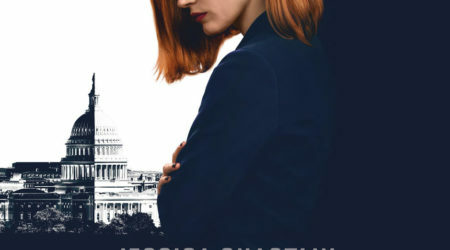 With this knowledge I immediately assumed that this would be another action-focused movie like the Taken series with the same lead actor. When I started listening to the score, composed by George Fenton, I was quite surprised by the music, because it did not match the images I had made up in my mind. There was only one solution to this, and that was to see the movie in the theatre. The movie also turned out to be totally different than I was expecting. It was about revenge, so there is some similarity to the Taken franchise, but that is where the similarities end. The main character of the movie, played by Neeson, is not an ex-soldier, but just a regular guy with a regular job. The movie is also more of an action comedy, and all these elements are reflected in the soundtrack. George Fenton does not use a full orchestra for the music of Cold Pursuit. Next to electronic elements, you can hear a group of strings, melodic percussion, wooden flutes and guitars. The first track “Snow Plough” is also the most wonderful track on this album. It is a waltz with the melody performed by a couple of acoustic guitars with some support from the strings. The same melody returns in “To The Ravine” where it appears after a short introduction by melodic percussion, and finally it can be heard in “Doing My Job,” where the strings are featured a bit more prominently. The movie also contains a scene in a club, and the dance music played in there is also written by Fenton and can be heard in the track “Speedo.” I do not care much for this type of music and since the music on the score is chronologically ordered, it can be found in the middle of other tracks that are not that loud, which, for me personally, does not make for a pleasant listening experience. There is also a remix of this track, which is the last track on this album. I think that is a much better place for the dance track: While it is still on the album, it does not break the overall flow of the music. The rest of the score is mostly filler music. 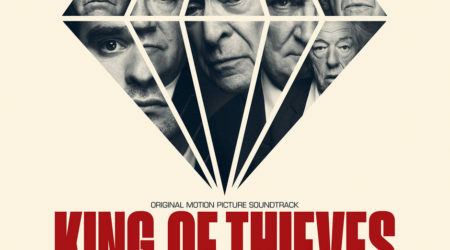 Some tracks still contain melodies, Iike “Cold Pursuit – Main Title” and “Eye to Eye.” Others are more sound design, like “The Funeral – Turning Away” and “Scouting”. To get a feel for the score I recommend that you listen to “Cold Pursuit – End Titles,” next to the waltz from the beginning. After seeing the movie, the score makes so much more sense and it actually reflects the film very well. 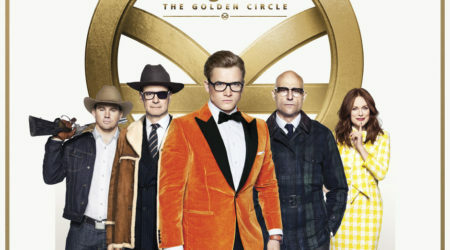 This movie does not really need a huge orchestra, percussion and heavy synths. The scenes in the movie do not contain a lot of busy work and have sort of dark humor to them, and this can be heard in the music. The music is fine, but, for me personally, it has been written too much in support of the scenes and is not really that interesting to listen to on its own. The only exception is the waltz in “Snow Plough,” which truly is an amazing and especially joyful piece to experience. When I listen to this score it is more about reliving the movie, and in that respect this score really succeeded.